This post is sponsored by My Green Mattress. However, all thoughts and opinions are 100% my own. Life with Irish twins. Where do I start? Let’s go first start off with answering what Irish twins even means. Irish twins are when you have two kids that are born under a year apart, under 12 months apart. Not 14 months, not 17 months. But under 12 months. Which means, Jadyn was five months old when I found I was two months pregnant. You can bet your money I cried when I found out. Fast forward to having Colin. My gosh, I thought life is crazy now, but I look back, and life was just madness. I can’t even begin to put it into words on how life was upside down. I look back at everything, and I really believe I was going through the emotions and trying to survive. There isn’t a need to go into detail about how crazy life was or is. Most of us are parents, we get how life can be with the little nuggets running circles around us! Jadyn and Colin don’t know life without each other. It’s always Jadyn and Colin. It’s not just Jadyn, and it’s not just Colin. What one does, the other follows. There is a bond between these boys that overwhelms me and moves me to tears! I’m so grateful to have Jadyn and Colin share rooms. 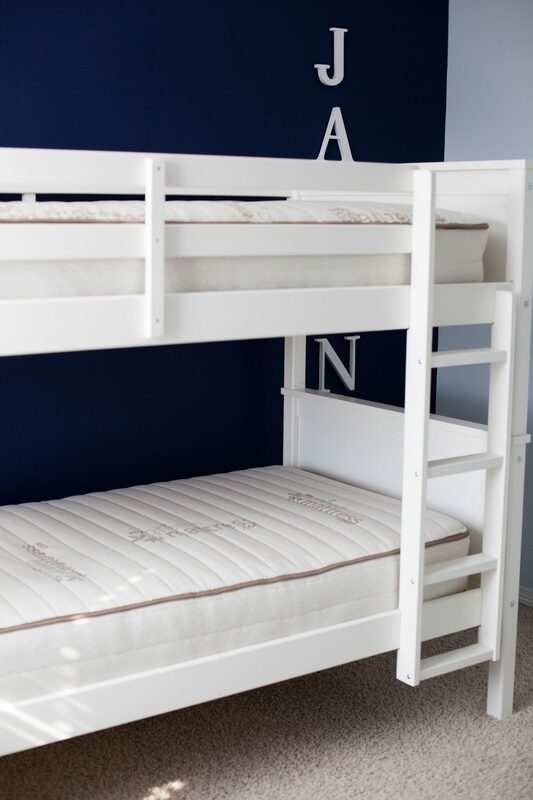 We recently just upgraded the boys to bunk beds and they love every second of it! Along with finding the perfect bunk bed, I had to find the perfect mattress. 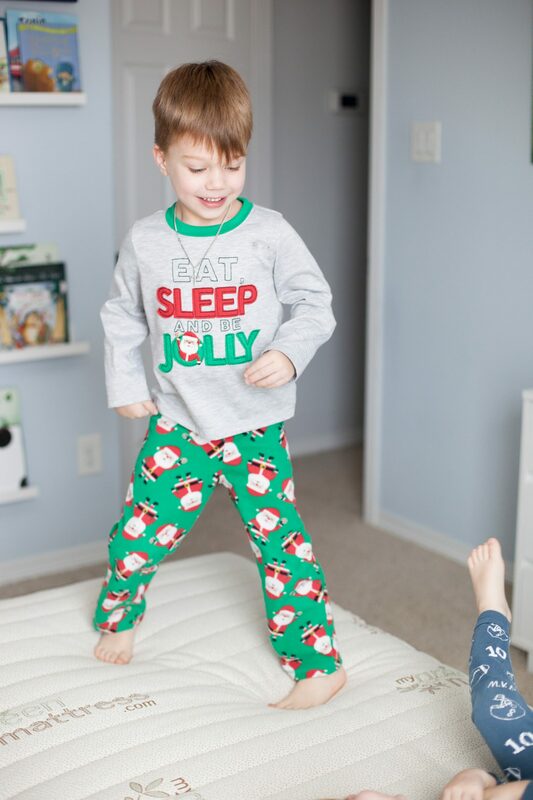 I worked with My Green Mattress for Liam’s mattress, and I really enjoyed the quality, and how well the mattress is made. 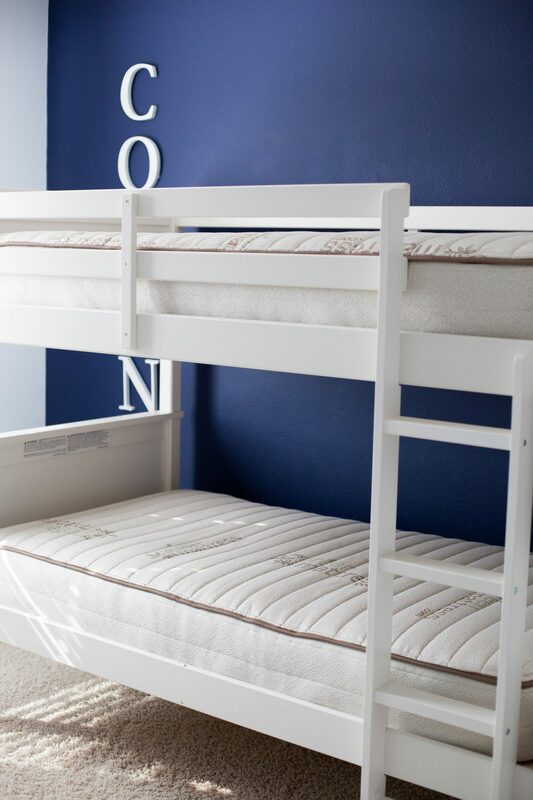 Jadyn and Colin both have the 8″ Pure Echo Twin Bunk Bed mattress. 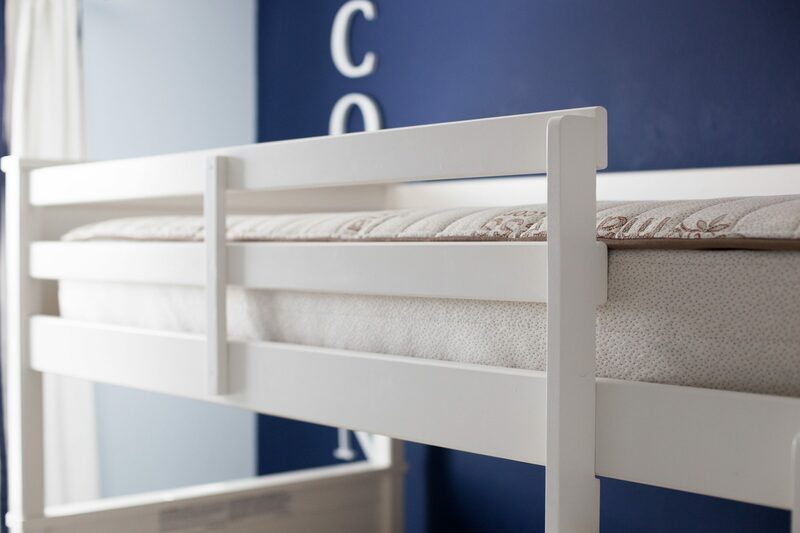 Believe it or not, there is a difference in a regular mattress vs. a mattress for a bunk bed. And this is why- My Green Mattress uses a shorter profile coil than the standard to meet the 8″ height restriction of most bunk bed setups. Which means, the mattress is below the rail guard up top. So I don’t have to worry about Jadyn rolling off the bed. Something Jordan did when he was younger! My Green Mattress is GREENGUARD Gold certified, passing testing with the most sensitive of individuals in mind. It’s certified organic cotton and natural wool quilted cover. 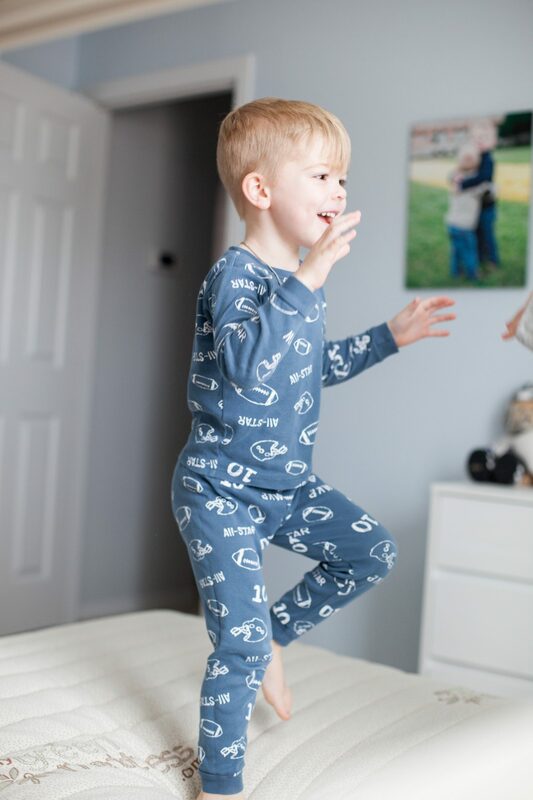 It is also made of hypoallergenic natural materials and GOTS certified organic cotton. It’s Pure. Simple and made in the USA. 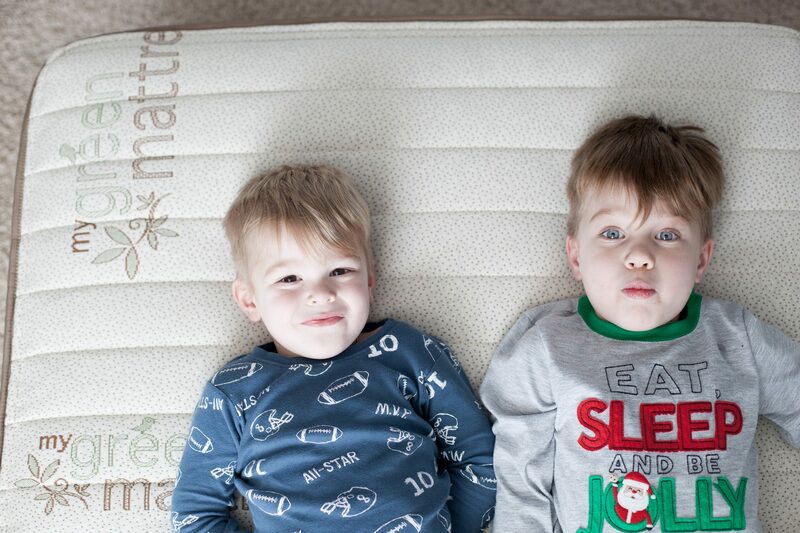 I’m excited that the boys got cool new beds and mattresses. 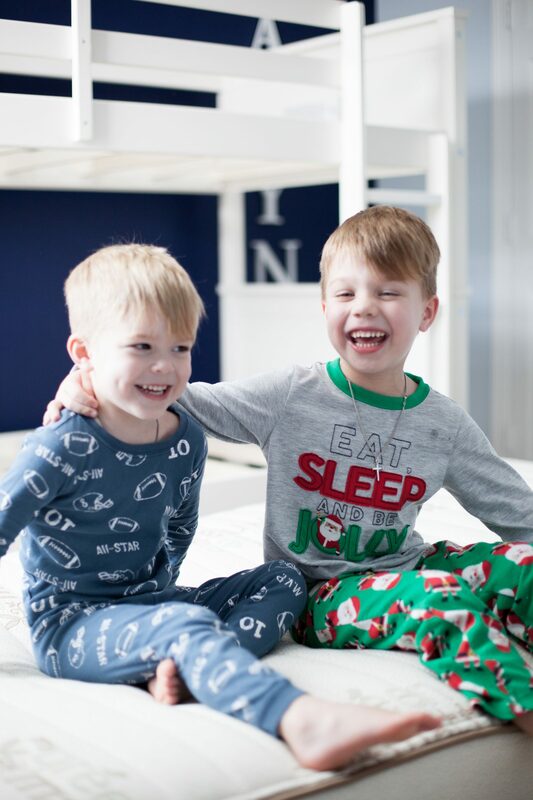 I can’t even tell you how many times I have peaked in their room or stood by the door to only hearing them laughing and playing with each other. I see Jadyn flashing his light and talking to Colin from above. Oh, the memories they will make. The places they will go, and the adventures they will have. I would do it all in a heartbeat. Thank you for stopping by! 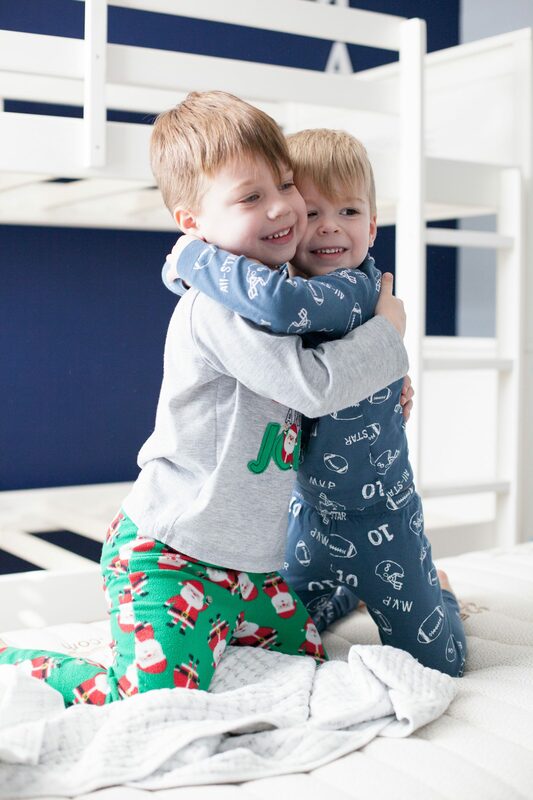 Do you have a sibling, and did you share a room? Share below!